The problem is I have so many interests, projects, paid work, and more, that I would often leave skateboarding to the end of my day. Kind of as something to look forward to. Except I wouldn't be that motivated to really improve because my mind would be fried from everything else earlier in the day. As well, at the end of the day, the only place I can really skate that's good for learning tricks is my own driveway. Despite my local skatepark being almost literally at the end of my street, you all know how busy skateparks are when school's out. My park is not that big so you're constantly looking for gaps to get a run in whilst trying not to hit anyone who hasn't anticipated where you're going (or you haven't anticipated where they're going). All the stopping and starting, teamed with all the different people who use skateparks, from little kids on scooters, through to other skaters, and BMX'ers, makes for a less than ideal session. Not to mention how intimidating it can be to learn new tricks in front of people who, may or may not be sympathetic to your efforts, but are definitely just trying to maximise their time on the park too. My solution, and I wish I'd thought of this much sooner, has been to swap a skateboard session into my weekly, morning workout routine. If you're like me and spend far too long sitting behind a desk staring at a computer, you should be incorporating some kind of physical exercise into your day. I do this by walking my dog every morning for about 40 minutes, followed by a 40 minute session on an orbital walker machine I have in my studio (because our dog, Oscar, isn't a fast walker and he really likes to stop and smell as much as he can every ten feet so walking him can barely be called 'exercise'). I realized, at the same time I spend on my orbital walker, 90% of the time my local skatepark is just sitting there, empty. So I decided to swap at least one session (ideally two sessions) a week on my walker with a 40 minute session at the skatepark. It's a win-win. I get to skateboard more, when I'm not tired, and I have the entire skatepark to myself so I can keep moving for a proper exercise session. Skateboarding is actually a very good workout if you're not stopping and starting all the time, and it's a full body sport with your upper body counterbalancing whatever you're legs are doing on the skateboard. 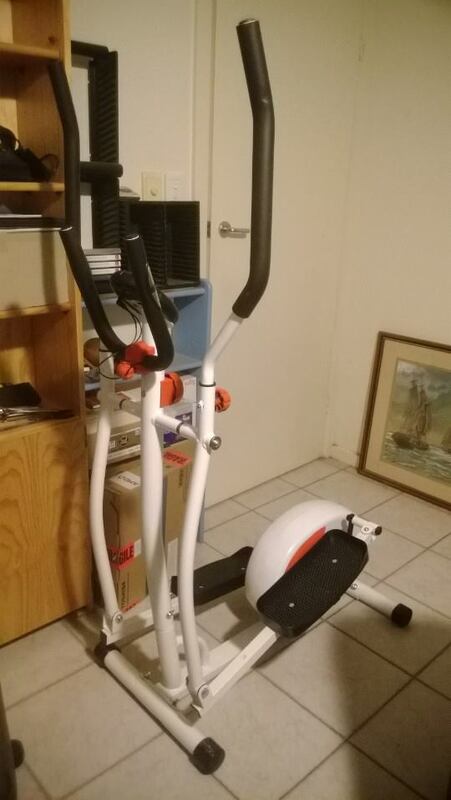 I'm not saying it's a balanced workout but it's certainly a fun way to get some exercise - and it surely can't hurt to break up the monotony of repetitions you may be doing at a gym. 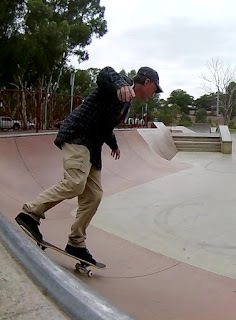 If swapping a skateboard session into your workout routine sounds like a good idea but you don't live near a skatepark, or you want something a bit more measurable for your progress, try Jordan O'Meara's Skateboard workout. Jordan's an Aussie Dad getting back into skateboarding as a way to get fit and relearn all the basic foundation tricks of skateboarding. In the video below I explain how the workout is structured and run through it while giving shout outs to some of my favorite skateboard YouTube channels.